FILSON FLASK 11069030-Black, Hand-stitched, wrapped in Bridle Leather, classic 6-oz. stainless steel flask. This classic 6-oz. 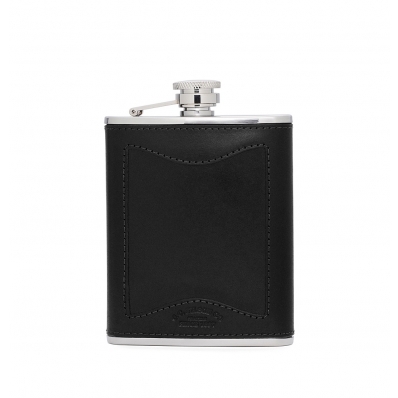 stainless steel flask from Filson is wrapped in Bridle Leather. Hand-stitched with waxed thread, it's designed to last for decades and will gain a handsome sheen with repeated use. Stainless steel is BPA-free and corrosion resistant, and the flask has a leakproof, screw-down cap that's hinged to the top for safety. The Filson Flask, the ultimate groomsmen gift, the perfect gift for your husband or father, or just a great treat for yourself. You could say that this is a pretty normal flask, but the craftsmanship of this item is second to none, just a beautiful flask. 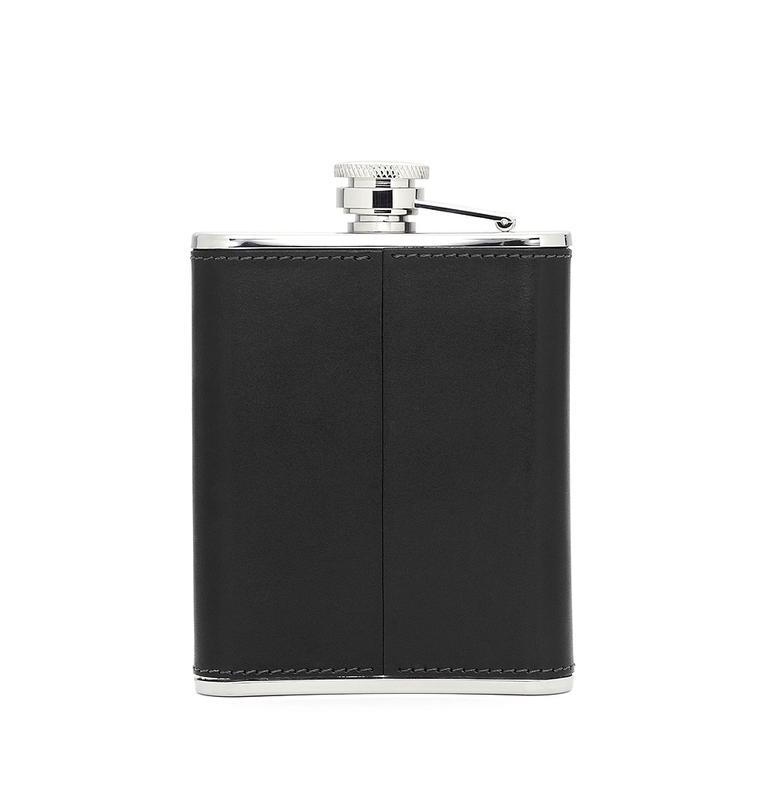 The Filson 11069030 is a durable flask that can stand up to the test of time, great to take out with the guys to camp for the weekend, or for a summer at the lake. >Leather is sourced from North American hides and tanned in the U.S.